As the Bully nation knows, we’re huge fans of the Land and Water Conservation Fund. Senators Max Baucus and Jon Tester both have been outstanding champions when it comes to helping secure funding for this program that pays for a lot of fishing access sites, new public hunting grounds and helps conserve working landscapes like the Blackfoot Valley and the Rocky Mountain Front. It’s no shock to us to see Senator Baucus get kudos at the National level for his tireless advocacy for access for hunters and anglers, and sound funding for the Land and Water Conservation Fund. We’ll add a tip of our Stormy Kromer to Max along with the LWCF Coalition. Well done Senator Baucus! If you want to know more about how LWCF has helped Montanan’s access public water and wildlife, check out our Sportsman’s Atlas and select the LWCF layer. We've just updated it with 20 more LWCF sites around the state, and we’re working on adding more each month. Washington, DC – Montana Senator Max Baucus last night received the Great Outdoors Champion Award for working to restore revenues from offshore oil and gas development to the Land and Water Conservation Fund (LWCF), rather than being diverted for other purposes. The LWCF is the nation’s premier conservation program, helping protect parks, wildlife refuges, forests, rivers, trails, battlefields, and urban parks for current and future generations. Over the last four decades, Montanans have invested approximately $417 million from LWCF to expand public access to streams, conserve working ranches, and protect iconic landscapes like the Crown of the Continent. Nearly 70% of Montana’s Fishing Access sites were created with LWCF. Senator Baucus, Senator Richard Burr (R-NC), and Senator Ron Wyden (D-OR) are the bipartisan sponsors of S.338, a bill that would fully fund LWCF. The legislation, titled the “Land and Water Conservation Authorization and Funding Act of 2013,” is supported by a broad coalition of conservation and recreation organizations and outdoor industry businesses and has 29 cosponsors in the U.S. Senate, including Senator Jon Tester of Montana – who is also a strong supporter of LWCF. By fully and permanently funding LWCF at its authorized level of $900 million per year, the legislation would foster federal, state, and local conservation investments that boost tourism, expand recreation spending, protect water quality, insulate communities from natural hazards, sustain agriculture and forestry on private lands, provide habitat for fish and wildlife, and improve the quality of life that draws businesses and workers to communities. LWCF is also essential to make public lands public by securing recreation access, particularly where opportunities for sportsmen and others to access public lands are currently limited or precluded. If Senator Baucus, Senator Tester and others are successful in standing up for LWCF and passing S.338, it will have an immediate and lasting impact on the state. Here’s what’s on the line for Montana in the 2014 budget, alone. Ø Completing the Montana Legacy Project. In 2008, the Plum Creek Timber Company agreed to sell 310,000 acres of forest lands in western Montana to help conserve the heart of the 10 million acre Crown of the Continent region. The deal is among the largest conservation projects in American history and will ensure that prime hunting and fishing habitat and working timberlands will remain open and accessible forever. The 2014 budget proposes to use $31 million of oil and gas revenues through LWCF to complete the last phase of the project, which is a transfer of former Plum Creek Timber lands, teeming with wildlife, in the Swan Valley to the Lolo and Flathead National Forests. 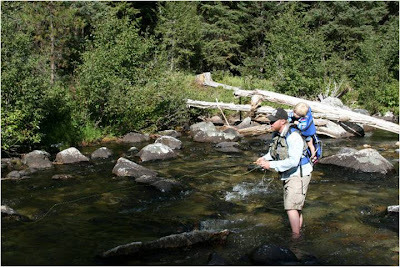 Ø Expand Hunting and Fishing Access in the Blackfoot Valley. Since 2003, local communities and non-profits have been working together through the Blackfoot Community Challenge to conserve 89,000 acres of former timber lands and to expand opportunities for hunting, fishing, hiking, and outdoor recreation. 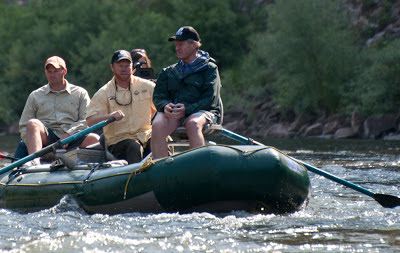 The 2014 budget proposes to invest $2.6 million to complete the last major piece of the project by expanding the Blackfoot River Special Recreation Management Area, which provides public fishing and rafting access to 34 miles of the Blackfoot River and Wolverine Creek and hunting opportunities in the surrounding lands. Ø Conserving Working Ranchlands in the Crown of the Continent. Ranchers in the Blackfoot Valley, the Rocky Mountain Front, and the Swan Valley are working together and using conservation easements to protect their way of life and the open landscapes for which Montana is known. The 2014 budget proposes that $12 million of oil and gas revenues through LWCF be used for conservation easements to help ranchers conserve their lands and keep their operations strong. The U.S. Fish and Wildlife Service works in close partnership with the 5th and 6th generation ranchers to support their efforts to provide healthy habitat for Montana’s world-class trout runs and big game. Ø Protecting Glacier National Park from Development. The 2014 budget proposes to use $1 million of oil and gas revenues through LWCF to acquire six parcels of privately-owned land in the Big Prairie area of Glacier National Park, along the North Fork of the Flathead River. Acquiring these inholdings from willing sellers will protect Glacier National Park from private development within its boundaries and preserve the backcountry character that draws nearly 2 million visitors to the park each year. Visitors to Glacier National Park spend nearly $100 million each year in the park and local communities. Ø Conserving Elk Habitat for Public Access near Tenderfoot Creek. Montana sportsmen are nearing completion of a multi-year project to conserve prime elk, moose, and trout habitat in the Tenderfoot Creek drainage for public use access. The 2014 budget proposes to use $3.2 million of oil and gas revenues through LWCF to complete the 8,000 acre project and ensure permanent public access to the lands as part of the Lewis and Clark National Forest (LCNF). Ø Protecting the Nez Perce and Lewis and Clark National Historic Trails from Development. The 2014 budget would use $1.6 million to provide public access and protection to the confluence of the Missouri River and Cow Creek, where both the Nez Perce and Lewis and Clark National Historic Trails converge. The land is the site where Chief Joseph and the Nez Perce crossed the Missouri River in 1877 on their way to Canada to avoid being confined to a reservation. If conserved for hunting, fishing, recreation, and cultural and historic tourism, visitors will also be able to experience the same remote, untrammeled character of the land that Lewis and Clark experienced when they passed in 1805 and 1806. The LWCF Coalition comprises conservation, recreation, business, and sportsmen’s groups working together to support the LWCF program in order to meet America’s conservation and recreation needs in the 21st century. For more information on LWCF and the places in each state that have been protected using LWCF funds, visit www.lwcfcoalition.org. It's Friday. A long week has me ready to hit the hatch starting this evening. We're blowing out of town around 3 or so and should be knee deep in a freestone by 6. Just in time for the caddis to start coming back to the water. First and foremost: The North Fork of the Flathead is closer to being protected. This week, the Senate Energy and Natural Resources Committee unanimously passed Senators Baucus and Tester's senate version of the North Fork Protection Act. This is a huge deal. The North Fork is home to bull trout, cutthroat, wolves, elk, deer, bears and all kinds of critters that make Montana the last, best place. Hopefully it passes the Senate soon and heads over to the House where Congressman Steve Daines will help Sheppard the bill through the process there. Kudos to all three Montana delegation members for working together to pass comprehensive legisation that protects one of Montana's Crown Jewels. Buffalo advocates and the state were vindicated this week when the Montana Supreme Court issued their ruling reversing a lower courts verdict that the State acted illegally when it transported bison to the Ft. Peck Reservation. 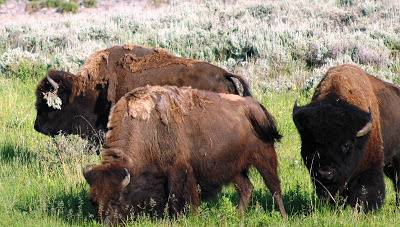 The lawsuit, brought by several Ag groups and anti-access groups like the United Property Owners of Montana sought to ultimately shut down bison conservation efforts that they had agreed too under the 2011 Legislative session. This is fantastic news for tribes, hunters and lovers of big shaggies everywhere. We're hopeful that FWP grabs the bull by the horns here and starts moving forward with their EIS on a comprehensive bison restoration effort as well as continue to work with tribal governments in order to help save this iconic species. The Trust for Public Land in conjunction with their partners at F.H. Stolze Land and Lumber (Montana's oldest family owned lumber company, btw) announced a deal to protect Haskill Basin from future development. The land is owned by the timber company and the Basin provides a large chunk of the drinking water for the Whitefish municipal area. It's a popular area with hunters & hikers and this deal ensures that a special chunk of ground remains as is and continues to provide families around Whitefish with clean water and great outdoor opportunities. Rain! Thank the lord for a few precious drops of water falling from the sky. While this weeks rains haven't quelled the fire danger in a large chunk of Southwestern Montana and they're causing flooding problems in eastern Montana, the rains have helped the fire outlook in most of Western Montana. Hopefully that means we don't spend our summers coughing up the smoke from local fires. It's also playing a bit of havoc with stream flows but we'll take that over hoot owl closures in July. Salmon Flies, PMD's and Caddis! The big bugs are out on the water from the Madison to Rock Creek. Early reports of the mega-chompers are drifting in from the lower Blackfoot too. Fishing has been epic this spring and summer looks to be the same. Get out on the river and hunt some heads! The truck is loaded and soon it will be pointed south for a weekend in one of our favorite little high country valleys. Montana is green and alive, and we can't resist her siren call. It’s safe to say that there’s not a lot of sympathy for folks who like toothy critters in Montana. At least that’s what the papers and the blogs seem to say. 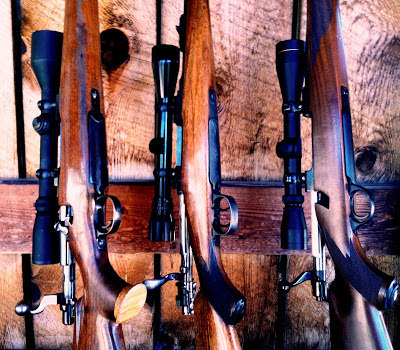 It seems like you have to think that deer, elk and other species of wildlife exist simply for our hunting opportunity rather than follow the North American Model and Aldo Leopold’s vision: We’re here to serve wildlife rather than have it serve us. Some folks haven’t missed that though. I see a lot of guys who run hounds stand up both at the FWP Commission and the Legislature fighting policies that would lead to greatly reduced lion hunting opportunity. This session, bear hunting advocates came out in force to support spot and stalk hunting as Montana’s only form of hunting. They eschewed hunting with hounds and baiting in support of a wild hunt. Montanan’s hunt. That’s what we do in large part. We hunt both predators and prey. We’re proud of that and we should be. 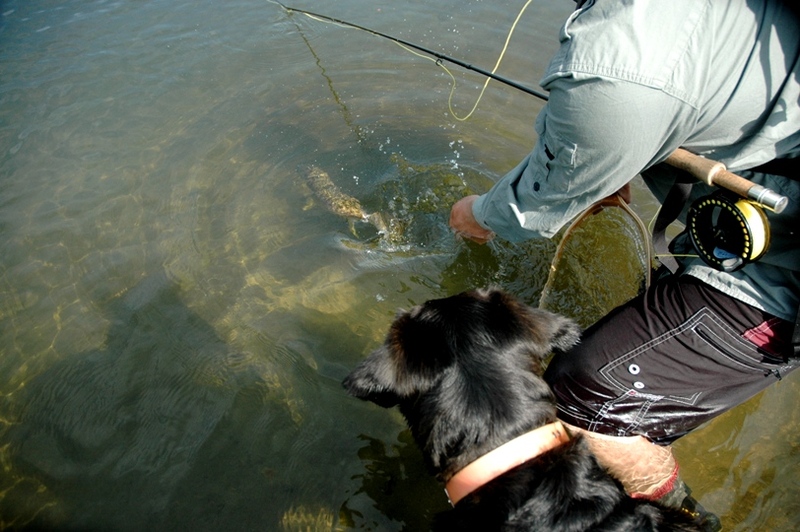 The NorthAmerican Model of Fish & Wildlife Conservation has been proven to work by our own professionals, the Department of Fish, Wildlife and Parks. So that’s why it’s a little sad to see how far FWP has decided to push the wolf hunting season. This past winter, the Legislature passed HB 73, which gave FWP broad powers in regulating the hunting of wolves. We supported that bill, for the record. The bill gave FWP the ability to issue multiple permits per hunter/trapper, eliminated the use of hunter orange outside of the general firearms season, allowed for electronic calls, lowered the price for non-resident wolf hunters and prohibited the FWP Commission from closing wolf hunting around the boundaries of our National Parks. Overall, it was a decent bill. It was a compromise between wildlife managers & politicians. As with all power, responsibility follows along. Let’s be honest: We’re all new at wolf hunting. We’re bound to get some things right and some things wrong. In 2012, Montanans took over 250 wolves resulting in a slight decline in the population (4%). That shows that hunting and trapping can effectively control the population. Accordingly, FWP announced that they were going to continue to try and reduce the wolf population. Those being the allowing wolves to be shot over trapping attractants (baiting) and extending the season until March 31st. Wolf hunting in Montana starts on September 1st. It currently runs until February 15th. That’s 4 ½ months of chasing wolves if you’re inclined. The reason that the season was put in place for these dates was to help reduce the incidents of harvesting heavily pregnant or whelping wolves. That’s a common sense regulation that helps ensure hunters don’t disproportionately impact populations and it follows the ethical rules laid out in the Seven Sisters of Conservation. We don’t shoot elk in April and we don’t allow for the harvest of female bears with young in tow. We should honor those commitments and not extend the hunting season for wolves because of these same ethical choices. 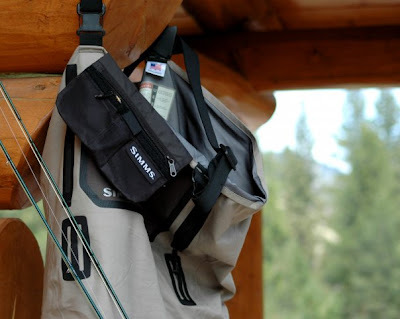 Likewise with shooting wolves over trap baits. Certainly we can see a scenario where someone goes to check their traps or stumbles on a trap line and wolves are close by because of the baits. However, allowing the deliberate take of a wolf while it is over bait disrespects the traditions Montana’s hunters have set forward for fair chase hunting. If this truly is an issue, leave it up to the Game Warden to make the call. The discretion of our Game Wardens is often times more critical in deciding the intent and the situation that led to the harvest. It should remain within their purview to decide if someone was intentionally hunting over bait rather than simply being opportunistic when they saw a wolf. The best piece of advice my father ever gave me was simply; measure twice, cut once. Be conservative in your actions and deliberate in their execution. I can’t say I’ve always followed that advice, but when I have, the wisdom in those words is painfully clear. FWP, up until this point, has made a conscientious and professional effort to manage wolves like any other game species. Most Montanans have supported their efforts in the past and to be sure support a great deal about this proposal. However, baiting and late hunting of wolves does not respect our ethics or the wolf itself. The comment period is open until June 24th. You can send FWP your comments by clicking here. How Montana treats all wildlife is important, even the troublesome species. The world is a complex, interconnected place. That’s especially true when we start to think about elk, wolves, bears the lands that are necessary to sustain abundant wildlife populations and our ability as hunters and anglers to access them. Human nature, on the other hand, is remarkably simple. We look for the easiest answers, usually the ones that fill our preconceived notions of what’s happening. Take elk for example. A recent study published in Ecology magazine shows that early green up on traditional elk migration routes is leading to less calf production in the Clarks Fork herd of Wyoming. Add a mess of two and four-legged critters, fragmented habitats and persistent drought into the mix and you can see why elk are having a tough time in some areas. The study also showed that Elk that select to stay in one place rather than migrate are doing much better. Anecdotally, we can see this in Montana. Elk in the Central and Eastern part of the state that browse on irrigated cropland are exploding, elk in the western part of the state are seeing declines in some areas. In the West Fork of the Bitterroot, we all assumed that wolves were the most limiting factor when it came to elk recruitment. Turns out we were all wrong. It’s a complex mix of toothy critters, folks with rifles and habitat issues. A suite of changes in the West Fork is leading to increased numbers of calves, just as a large fire in Idaho may have moved a bunch of elk over into the Treasure state. It’s never simple and wildlife management is never easy. That’s why we fight for the programs instituted to help ensure wildlife populations remain abundant. Two programs in particular are critical in Montana for habitat conservation and access. The Land & Water Conservation Fund has increased public access to public land, added more public land to the inventory of federal & state owned lands and helped provide landowners with the needed tools to keep their spreads from turning into subdivisions. 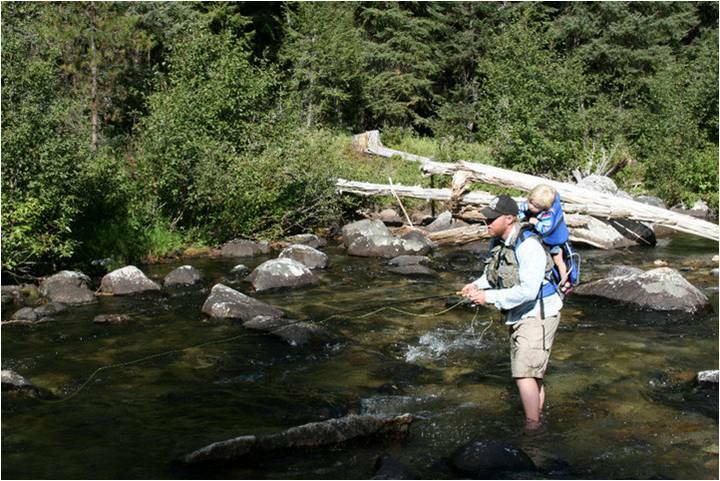 LWCF has brought us places like Mount Hagen Wildlife Management Area as well as hundreds of fishing access sites across the state. Likewise, Habitat Montana is a similar program but focused at the state level. Run by the Department of Fish, Wildlife and Parks and utilizing hunter license dollars and federal funds, wildlife managers have been able to use Habitat Montana to increase public access to private land through conservation easements as well as purchase remarkable properties like the Marias River WMA. Together, these two programs help ensure not only abundant access, but abundant wildlife habitat. We don’t get one without the other, and that’s a good thing. Sometimes we get caught up in the fight to maintain access. When that happens, folks who want to erode the bond between hunters & anglers and conservation swoop in to try and pry us from the land. We’re told to choose between habitat conservation and access. That’s not right, and it’s going backwards from where we’re at now. As we fix leaks in our rafts, watch the salmonflies start to pop and see the brand new baby elk, moose and deer down on the river bottoms, it’s important to remember that these programs help ensure a future full of wildlife and our ability to continue to access these vital grounds.